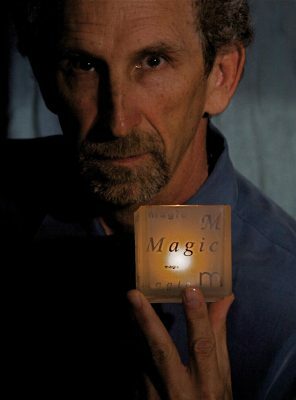 Phoenix Magician Patrick Holcombe, will perform feats of magic at your next event, showing how “Magic Can Make It Happen” for you and your valued group. 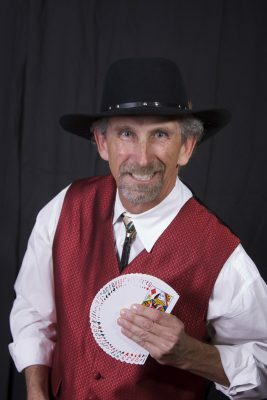 Adult private party magic or corporate events are a perfect venue for the addition of Patrick’s magic performance. Cocktail hours, private parties, hospitality suites, employee picnics, grad nights and more can be enhanced by the addition of Patrick’s magical entertainment. 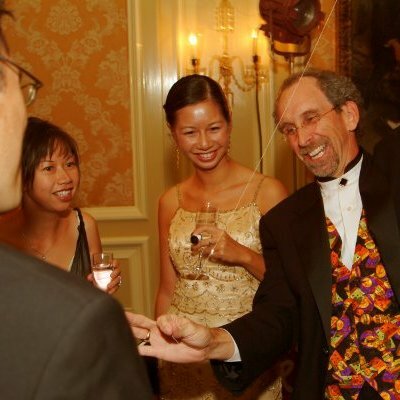 Phoenix Magician Patrick Holcombe engages and gets your guests interacting with each other, which is just what every good party hopes to encourage and accomplish. The fun and excitement of seeing magic close up and personal will invigorate and stimulate your guests imaginations. Seemingly mundane items like cards, coins and bits of string take on an entire new life in the hands of this talented Phoenix magician. Long after your party ends, individuals will remember your magic event and the enjoyment you created just for them. Patrick can add that special touch that will get, and keep, your guests talking about you, your hospitality and for the corporate entity, your company. Magic can be performed in a variety of settings and styles. From the ultra modern socialite cocktail hour to a country western jamboree setting, magic has an appeal to all groups. Magical style types include Close up magic – the most intimate; Parlor – as in someone’s home or on a small stage. Each can be added to an event to add that little bit of originality or make it an extravaganza. “We need more magic in our lives. I don’t mean fussy Hallmark moments that capture special times between special people. I mean magic that’s delivered by magicians. Magic that makes the most skeptical adult shake his head, smile and burst into applause. ”…the magic that happens when one man holds one deck of cards two feet away and in plain sight of his audience is the kind that makes me happy to suspend my disbelief. This is how the performance of close-up magic affected Mary Ellen Collins. Wouldn’t you like you and your guest to feel the same way? Patrick Holcombe Can Make It Happen For You! Call (602) 625-8790 Now to Book Your Event.